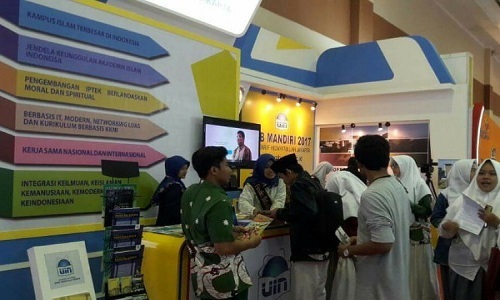 Lampung, UIN News Online – The lack of knowledge on zakat management has made dozens of people in Desa Negara Batin, Jabung, East Lampung, as the target counseling target by the students of Islamic Guidance and Communication Development (BPI) FIDK UIN Jakarta. Along the local Zakat Management Unit (UPZ), BPI Students held Zakat counseling entitled, “Zakat Tanda Cinta, Cinta Allah dan Cinta Sesama” at Mushola Asy-Syariah, Thursday (12/07/2017). The person in charge as well as the speaker, Kharisma Adam explained that one of the objectives of this activity is to socialize the role of Zakat Management Unit (UPZ), and to give understanding to the society about the scope of zakat. According to him, this activity will be carried out continuously until they become able and willing to carry out the management of zakat. “There will be several meetings to discuss about this, as for the time and place, we will let the citizens to decide,” he said. The lack of knowledge on zakat management is recognized by the chairman of the local UPZ, Temenggung Ramli Hamdani. He said the current zakat activity that the public knows is only zakat fitrah. “When they do zakat, people here usually give it directly to the recipient, without going through the local UPZ,” he said. Ramli expressed his appreciation for this activity. 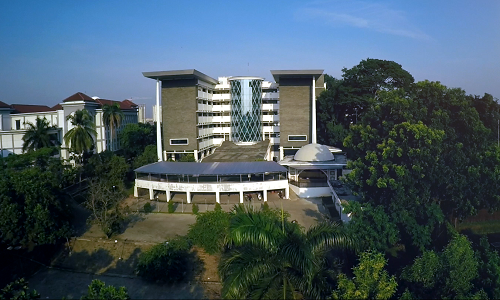 He hopes that after joining this activity, the public can certainly understand the meaning of zakat, and know the role of UPZ in managing the zakat.